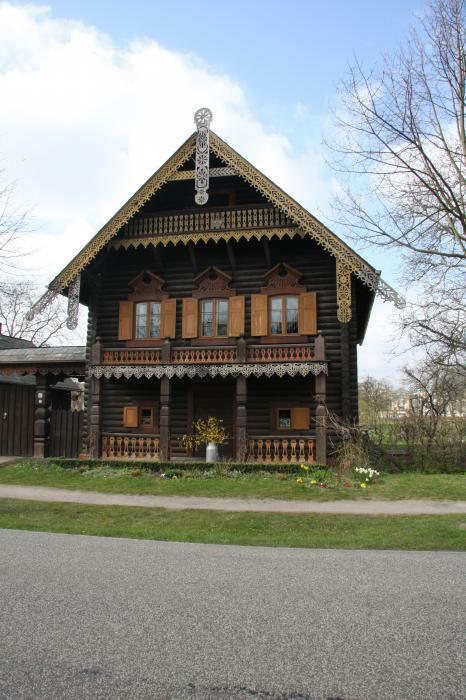 There are no comments for Russian Village - Potsdam. Click here to post the first comment. ALEXANDROWKA is the Russian Colony in the north of Potsdam (Federal State Brandenburg, Germany, see photo on the left). 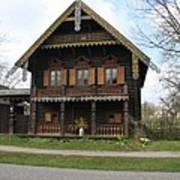 It consists of thirteen wooden houses in Russian style, which were built between 1826 and 1827 on special wish of the former Prussian king, Friedrich Wilhelm III. Originally the colony was the home of the Russian singers of the First Prussian Regiment of the Guards. The blockhouses are surrounded by generous gardens (old plan see photo on the right). In the north of the colony the Kapellenberg borders, a hill on which the Alexander-Newski-Church was especially constructed for the Russian colonists. Once the colony has been built according to the village Glosovo near St. Petersburg in Russia. 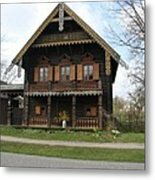 In 1999 the UNESCO (United Nations Educational, Scientific and Cultural Organization) has declared the Russian colony Alexandrowka as part of the cultural heritage of the world.